Food is the fuel that determines your energy and mood, both of which can significantly affect your focus. Just as you shouldn’t put coconut oil into your car to make it run, it’s important to fuel our bodies with the right foods so that we can be the best version of ourselves. Not only are blueberries healthy and sweet, but studies show that blueberries boost “concentration and memory” for up to five hours. 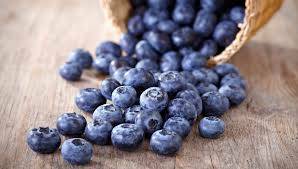 The antioxidants in blueberries stimulate the flow of blood and oxygen to your brain, boosting focus and even protecting against cancer, heart disease and dementia. Essential fatty acids (EFAs) cannot be made by the body which means they must be obtained through diet. 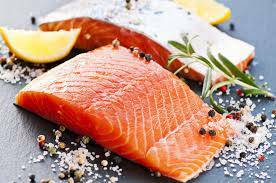 The most effective omega-3 fats occur naturally in oily fish such as salmon, trout, mackerel, herring, sardines, pilchards and kippers in the form of EPA and DHA. These fats are important for healthy brain function and general wellbeing. Low DHA levels have been linked to an increased risk of Alzheimer’s disease and memory loss whilst having sufficient levels of both EPA and DHA is thought to help us manage stress and helps make serotonin. If you’re a vegetarian or vegan, incorporate flax seeds and chia into your diet instead. 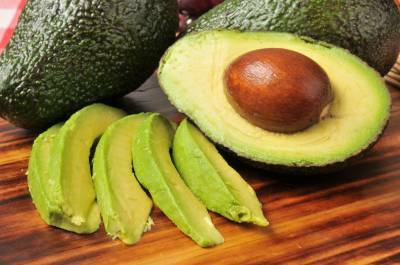 Containing both vitamin K and folate, avocados help protect against strokes and improve cognitive function. Aside from being delicious they’re also rich in vitamin B and vitamin C, and have the highest protein and lowest sugar content of any fruit. At last, an excuse to eat more chocolate! According to The Daily Mail, dark chocolate boosts serotonin and endorphin levels which are associated with increased concentration. Dark Chocolate is also a good source of antioxidants, vitamins and minerals which in conjunction with a healthy diet can control blood pressure. A 2013 study even concluded that those who drank two cups of cocoa every day for four weeks had improved blood flow to the brain and performed better on memory tests. 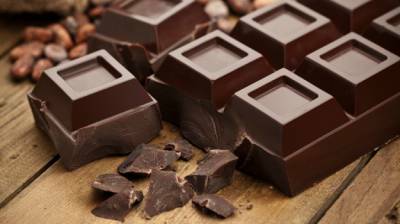 As with any treat, moderation is key, experts say one square of dark chocolate during the afternoon slump should be enough. Columbia University researchers have reviewed a number of studies on breakfast and have discovered just how important the first meal of the day actually is. They found that people who eat breakfast every day have lower heart disease risk factors and are less likely to have high cholesterol and blood pressure. 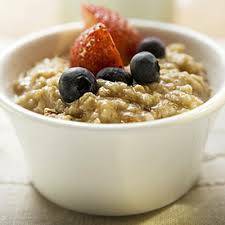 While it may be tempting to opt for cereal or other sugary breakfasts, oatmeal is one of the best options for breakfast as it is low GI and will keep you fuller for longer. For that extra boost, why not add blueberries to your oatmeal? Instead of reaching for your afternoon cup of coffee, try substituting it for a cup of green tea. 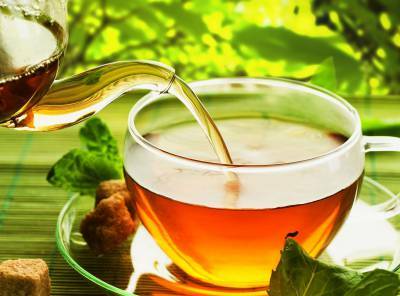 While green tea contains a more modest about of caffeine, it also has the amino acid theanine. Studies show that theanine improves mental alertness and focus. Beetroot contains nitrates that can dilate blood vessels, increase blood flow and oxygen to the brain, and improve mental performance. 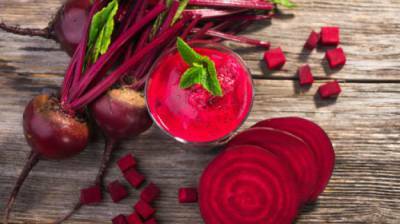 Add beets to salads, roast them or add to juices for optimal brain health. 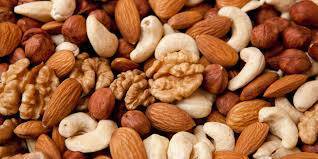 Nuts and seeds are good sources of the antioxidant vitamin E, which has been linked in some studies to less cognitive decline as you age. They’re also rich with essential oils and amino acids which help you focus. Whether it be spinach, broccoli or kale, leafy green vegetables are full of antioxidants and carotenoids, which boost your brain power, and help protect your brain. 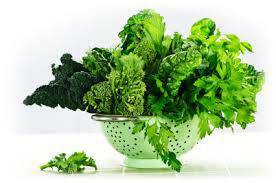 Leafy green vegetables are also rich in B-vitamins, which help your memory, focus, and overall brain health. 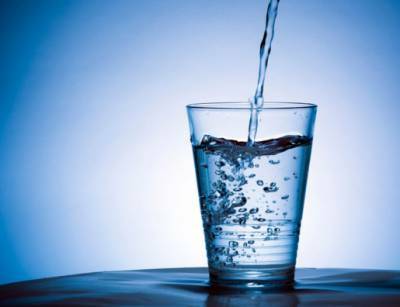 If you want to improve your focus, you need to drink enough water. Thirst and dehydration can cause fatigue where reaching for a coffee or energy drink will dehydrate you even further. Water has been proven to help you think faster and be more focused. Every single function of your body depends on water, so it is critically important that you get enough of it. Common wisdom recommends adults drink 2.1-2.6 litres (8-10 cups) daily, but most experts agree it’s not possible to specify a quantity that is suitable for everyone.